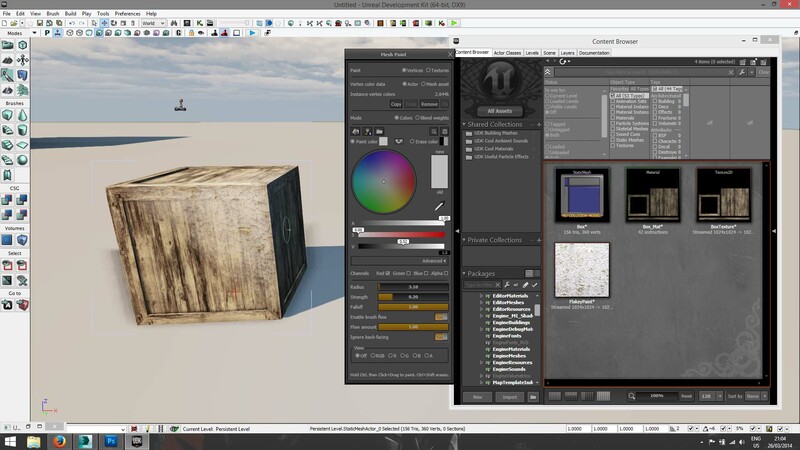 I’ve been looking into some basic vertex painting in UDK because it could be useful for my project, it is used to paint textures on already created and textured models, for example you could add rust to a metal fence. The main reason I’ve looked at it is because I wanted to see if I could add extra detail to my landscape with it and to see if I could create the illusion of snow. 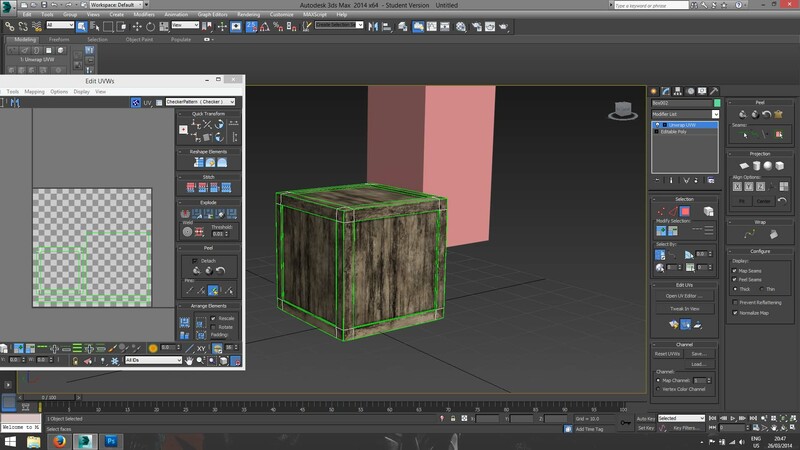 I started by creating a simple crate in 3DS max and then unwrapped and textured it. 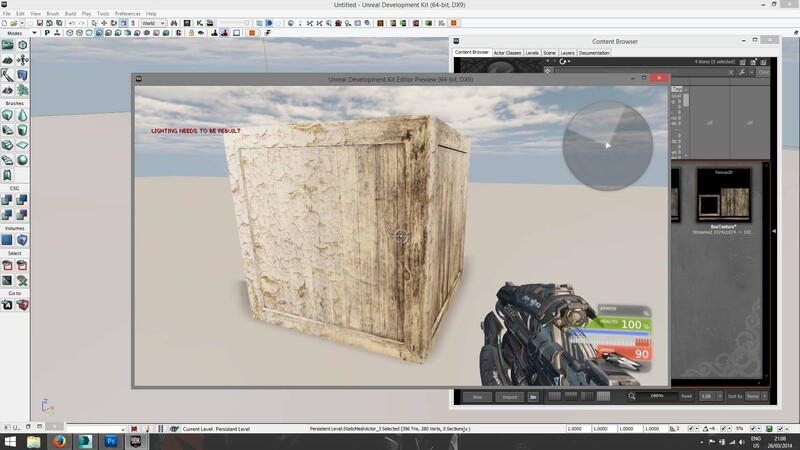 I then imported it into UDK and created a flaky paint texture in photoshop, this is what I will paint onto the crate. 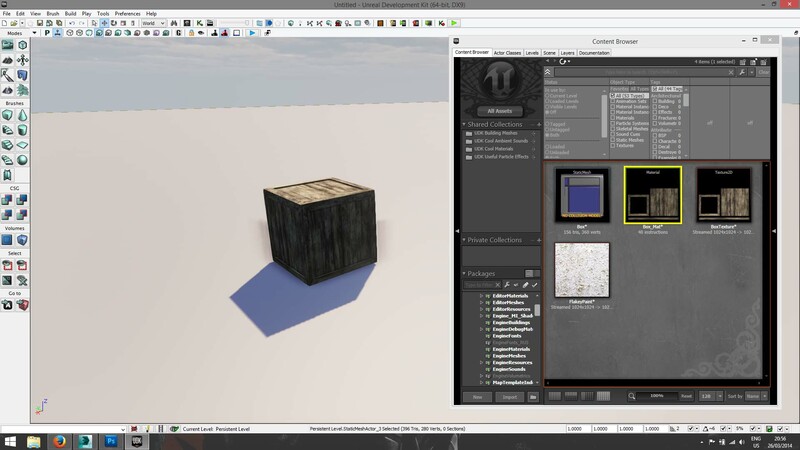 From here I went into the material editor and added a lerp node (LinearInterpolate), my 2nd texture and a vertex colour node, I set them up as seen below..
Then you use the mesh paint mode to start painting, the flaky paint texture is set to 0 and the crate texture is set to 1 so you need to set the ‘V’ to 0 for the most intensity, if you want it less intense set it somewhere in between. You can add normal, specular and height maps to this as well to make it look more detailed, an example in one of the tutorials I watched was painting sand into the cracks of a pathway using a height map. 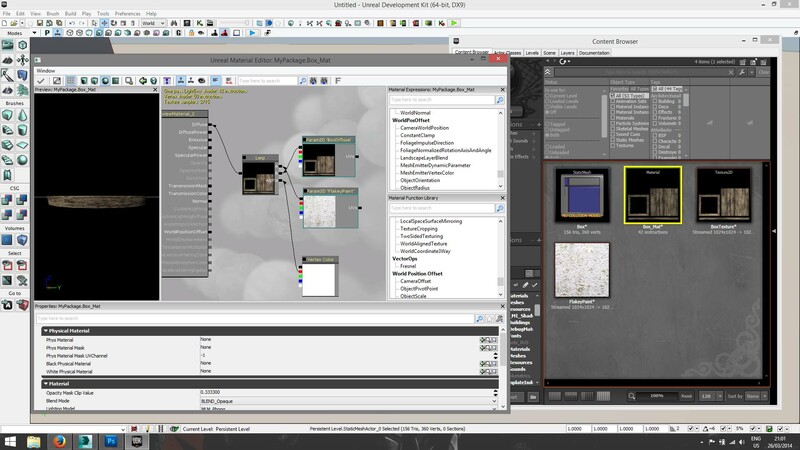 If I wanted to have snow in my map this is something I could try, it could also be something interesting to look into for our paragon project. ← Self Initiated Project, Research – War of the Vikings.